AI in Learning: are we there yet? 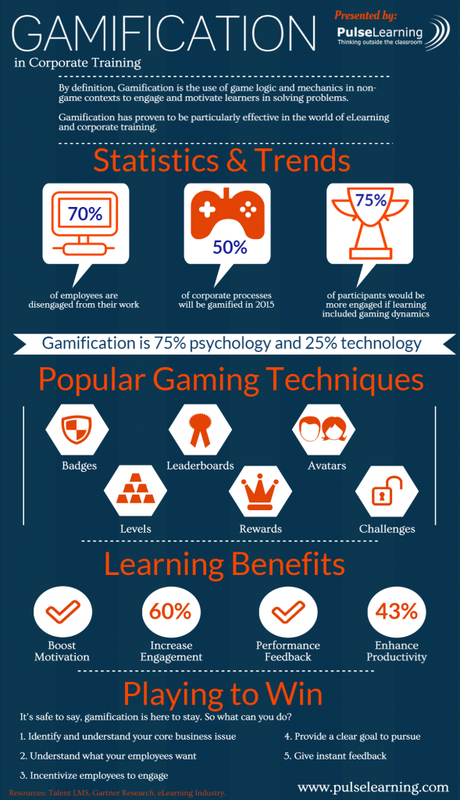 Pulse Learning has put together this excellent infographic which speaks to the ways that gamification is improving engagement in eLearning and corporate training. Gamification will be a focus of our blog this week, and this is an excellent introduction to understanding how widespread it has become, its potential benefits to development programmes, and how your organisation can implement elements of gamification into Learning and Development offerings without necessarily requiring expensive and time consuming games manufacture.